Rep. Ilhan Omar, D-Minn., sits with fellow Democrats on the House Education and Labor Committee during a bill markup, on Capitol Hill in Washington, Wednesday, March 6, 2019. 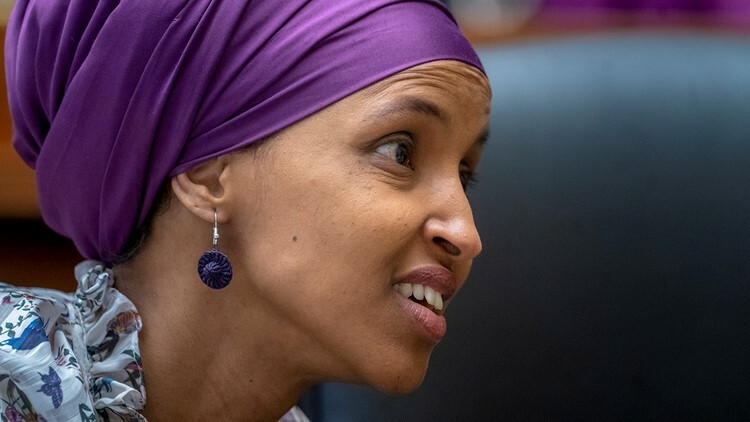 Leading Democrats accused Trump of trying to incite violence against Omar, who is Muslim, by retweeting a video on Friday that was edited to imply that Omar was being dismissive of the Sept. 11 terrorist attacks. Rep. Ilhan Omar says she's faced increased death threats since President Donald Trump spread around a video that purports to show her being dismissive of the 2001 terrorist attacks. "This is endangering lives," she said, accusing Trump of fomenting right-wing extremism. "It has to stop." ek." Nadler appeared on CNN's "State of the Union.